Above and below: The Mostiero dos Jeronimos. Below: The official residence of the President of Portugal, the Belem Palace. 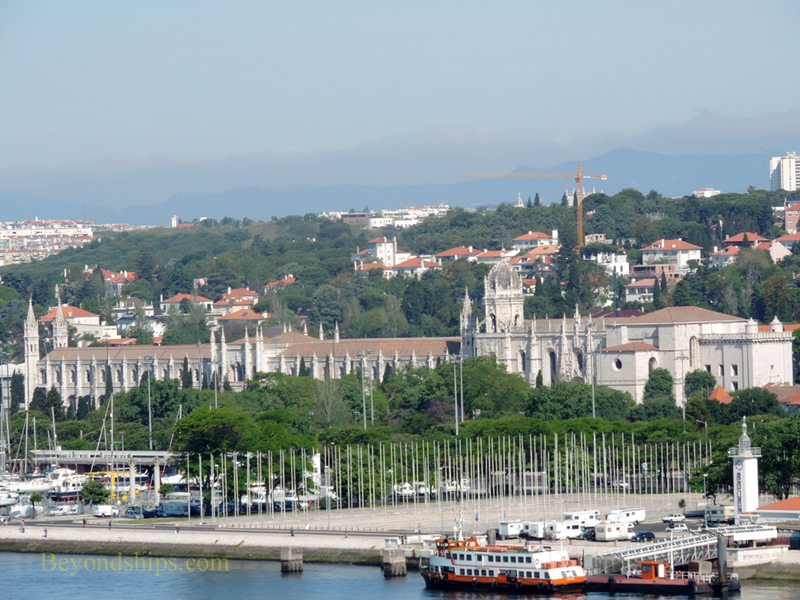 Sailing into Lisbon, the first district that catches the eye is the Belham district, the traditional gateway to Lisbon. 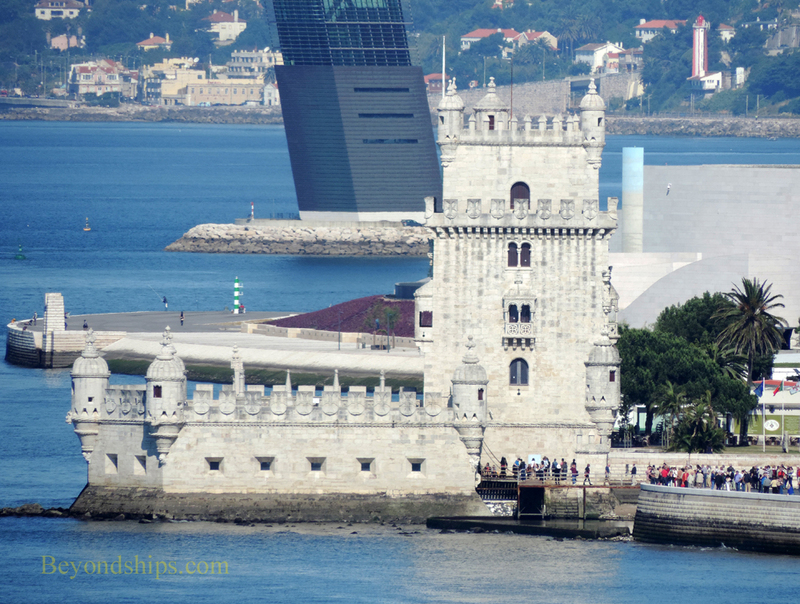 Its most famous monument is the Belem Tower, a fortress built on the river in 1515 to defend the city. However, its design was not entirely utilitarian. Rather, it was decorated in the Manueline style and looks like a vision from a storybook. 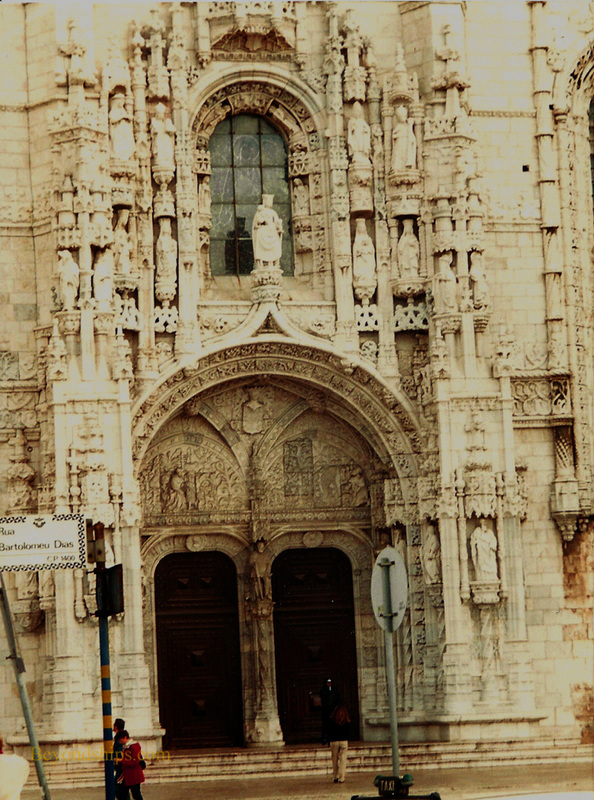 It has become a symbol of Lisbon and has been designated a World Heritage Monument by UNESCO. Nearby is a more recent monument. 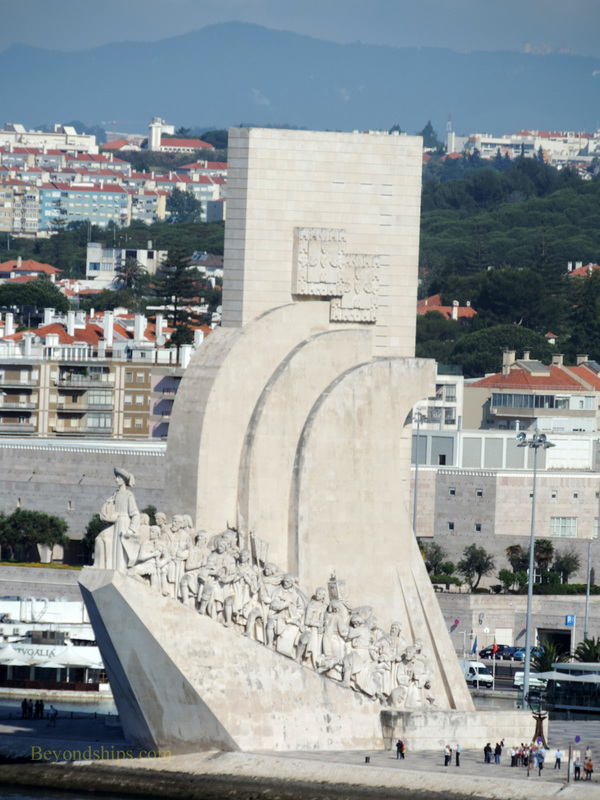 Dedicated in 1960 as part of the celebrations marking the 500th anniversary of the first voyage sponsored by Prince Henry the Navigator, the Monument to Discoveries is some 50 meters high. Its shape is designed to recall that of the caravel, the type of ship that Portugal’s explorers used in their journeys. 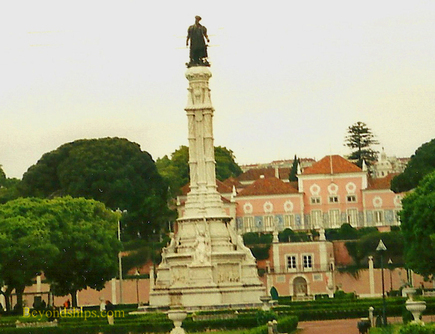 On it are statues depicting many of the explorers led by the figure of Prince Henry. 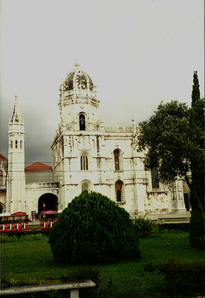 Also in Belam is the Belem Palace, the official residence of the President of Portugal. It was built in 1559 and altered in the 18th Century. The Palace is open to the public on Saturdays except when official functions are taking place. There is also a presidential museum. Among the other attractions in Belem are the Berardo Museum (modern art) and the Coaches Museum.